Learn basic Luxembourgish without effort! Do you want to learn the language of Robert Schuman, one of the founders of the European Union? Learn the meaning of the untranslatable word “Gemittlechkeet”! 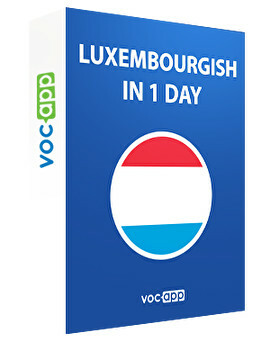 Impress the 400.000 people that speak the language with your Luxembourgish! You will see that learning this language is a piece of cake! 10 tarjetas You already know that:) - Dat wësst dir schonn!